Having a qualified attorney can make all the difference in a foreclosure lawsuit. A foreclosure can be a stressful and emotional time. The bank will have an attorney handling their end of the lawsuit. So it is highly recommended that anyone going through a foreclosure seek adequate legal representation for the best possible outcome. However, most defendants face having a limited amount of time to act once served with foreclosure lawsuit papers. Therefore they many hastily choose an attorney to represent them. Here are some helpful tips to finding the best foreclosure lawyer in Pennsylvania. Unfortunately, many of us have friends or family members that were faced with home foreclosure. Fortunately, family and friends can be a great resource for referrals. There is no doubt that the people closest to you will want the best for you and have your best interest in mind. So if any of your friends or family know of a good foreclosure attorney that will represent you with your best interest in mind, this can be the easiest place to start. Educating yourself about the foreclosure process and foreclosure attorneys is an important step to dealing with your foreclosure lawsuit. As soon as a defendant is certain they will not be able to continue their mortgage payments they should start to research foreclosure attorneys and make a list of ones in their area who offer free consultations. Law firms and individual attorneys often have online reviews; you should review these and schedule appointments for free consultations with the law firms that have the best reviews. You can also check the Bar Association for your state and ensure the attorney you are interested in hiring is in good standing and has no complaints lodged against them. Once you have compiled a list of foreclosure attorneys in your area who are in good standing and have good reviews, set appointments for a free consultation. A consultation is an important step to hiring a foreclosure attorney as it is a good opportunity to assess whether the attorney is a good fit for you. You want to ensure you choose an attorney who will share your goals in what you hope to achieve in your foreclosure suit. Additionally, foreclosures can move fast so if you have already been served with foreclosure papers ensure that you make this known and that you get the soonest appointment they have open. How you got into your foreclosure situation is not important, what matters is where you want to go next. 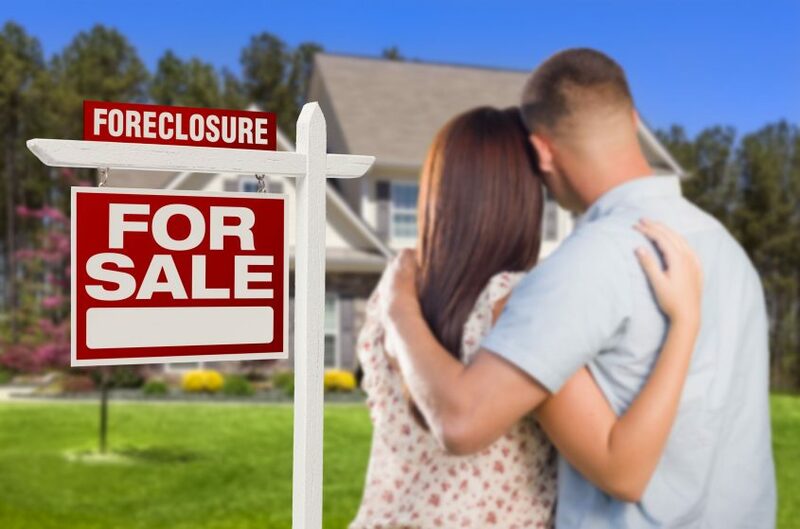 It is important to try to separate your emotion about the situation from the facts and think about what you want to achieve with your foreclosure attorney. For example, are you hoping to negotiate a loan workout or are you merely hoping to buy yourself as much time as possible? Are you seeking a case about predatory lending or are you hoping to avoid a deficiency judgment? Knowing what you hope to achieve when you walk into your consultation will help you determine if the attorney is right for you and will work towards the goal you have in mind. An attorney who is eager to accept your money for their services in hopes of saving your home without knowing whether you have sufficient income to make your mortgage is one of the first and biggest red flags. Good representation will get all the facts from you, including your income and debt, prior to guaranteeing you that they can save your house from foreclosure. Additionally, attorneys who charge a flat rate fee to handle a case from start to finish can also be a red flag. Finally, knowing how many cases an attorney is handling or has successfully handled is helpful. If an attorney has too many cases on their plate you may worry how much time they will be able to devote to your case. It is important to be educated and diligent when choosing a foreclosure attorney. If you are in need of a foreclosure defense attorney near you contact Bartifay Law Offices for a free assessment. Give us a call at (412) 824-4011; we take the time to make it work.